With a tactical saber in hand, the strongest survivor in the battle can draw on minimal resources to turn it around and win victory. 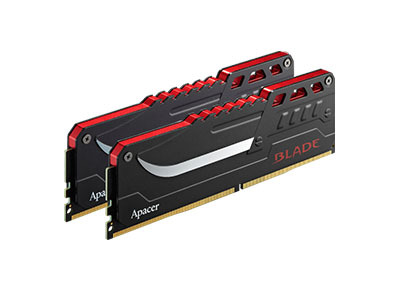 Apacer launches cross-generation DDR4 flagship – “BLADE” DDR4 overclocking memory module, which is compatible with Intel® Skylake processor and Z170 chipset and boasts a clock rate up to 3600 MHz, providing unprecedented computing performance and energy-saving efficiency. 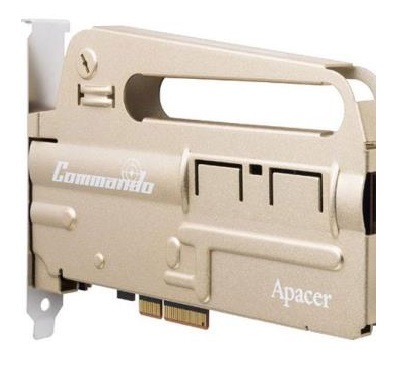 Apacer Commando DDR4 Series Overclocking Memory Module is adopted the newly designed weapon-styled assault rifle heat spreader and tailored for the latest Intel® X99 chipset and Haswell-E processor. 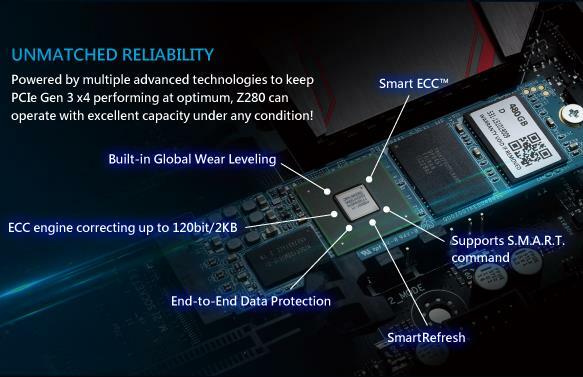 The whole series of products supports the latest Intel XMP 2.0 standards and features outstanding tactical characteristics of high frequency, low voltage and low latency. 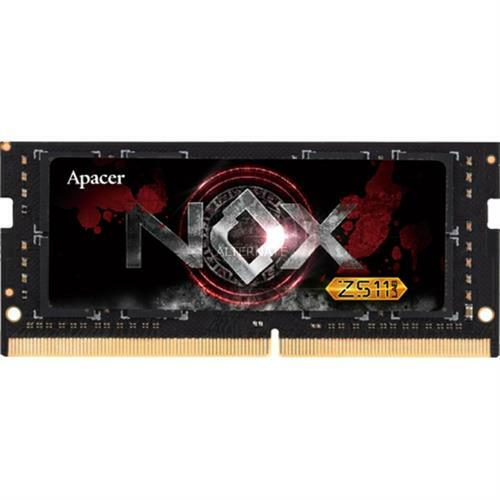 Apacer’s biggest advancements in SO-DIMM history- NOX, the goddess of the night, symbolizes power and mysterious energy- DDR4 16GB SO-DIMM. 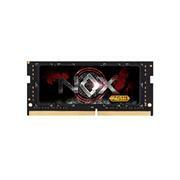 The unmatched NOX surpasses all others of its kind before and since. Not only speed but also power-saving efficiency in terms of outstanding performance is far beyond your imagination. 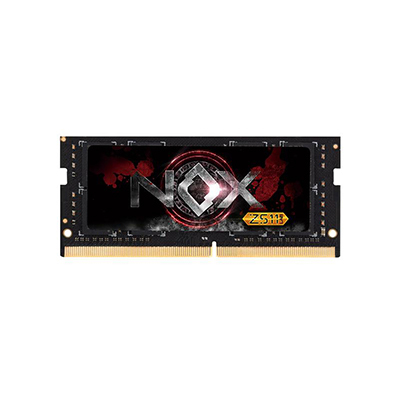 NOX comes equipped with total capacity of 64GB(16GB*4), and provides diverse performance options including DDR4 2400/2666/2800/3000MHz. 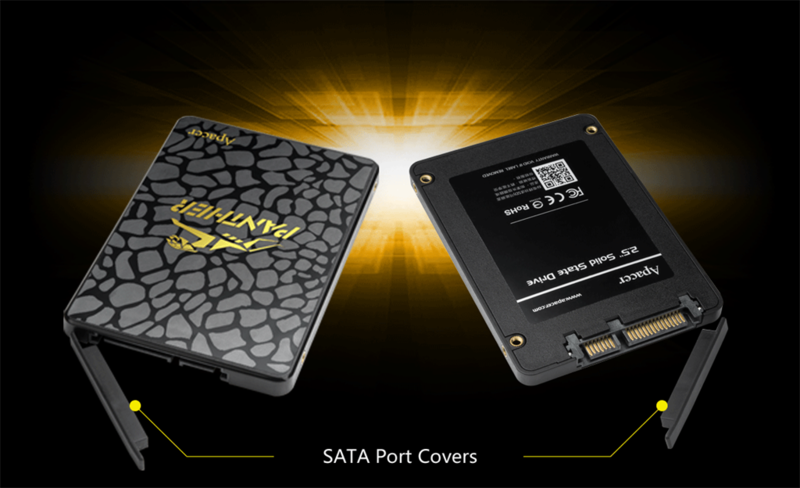 It is perfect for gaming laptop, high-end business laptop, and high-performance mini system. 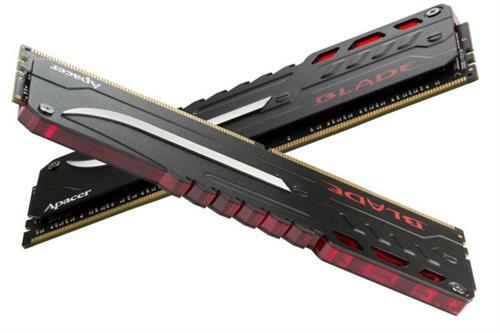 The world-class BLADE FIRE DDR4 is an advanced generation of BLADE DDR4, featured a sensational armory design on heat spreader perfectly for gaming, overclocking, and M.O.D enthusiasts. The unique internal suspension structure can reduce vibrations while minimizing the impacts caused by accidental movements. AC633 has passed MIL-STD-810G 516.6 Procedure IV (Transit Drop Test), meaning no data is corrupted when it is dropped from a height of 1.22 meters. 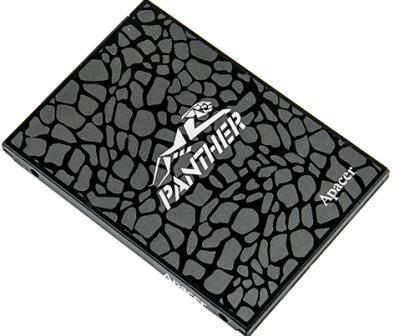 With thorough rubber coverage at the exterior, AC633 can withstand spraying water and dust. No matter encountered rain or dust, it can easily handle these situations. AC633 adopts durable USB Type-A female connector which has passed the 10,000 times plug/unplug test, providing safety guarantee for users. 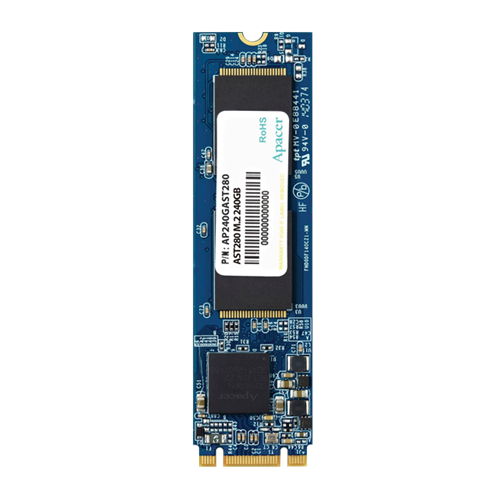 AC633 has a transmission speed up to 5Gbps to back up a great deal of audio and video files and reduce the transfer time. 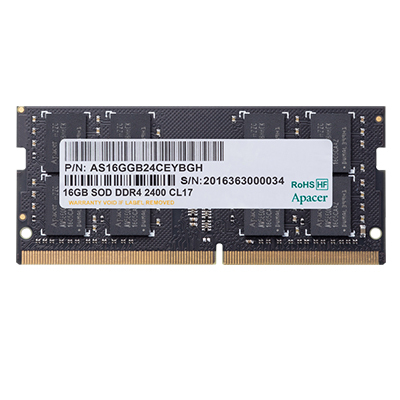 Apacer 8GB DDR4 2133Mhz Notebook Memory Apacer DDR4 SO-DIMM modules are compliant with JEDEC standards. 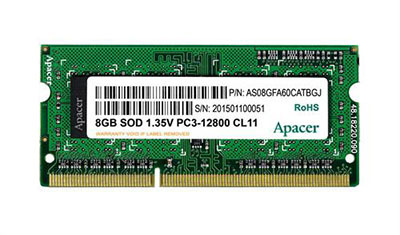 Manufactured with high-quality brand-name DRAM chips and 100% rigorously tested, the SO-DIMM modules deliver higher performance, higher stability, and higher compatibility, particularly applicable to systems requiring high stability and with limited space, such as notebooks, industrial PCs and embedded systems. 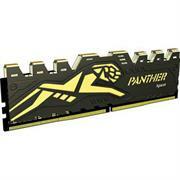 • All DDR4 lineup is Compatibility Certified across All Major Motherboard Companies. 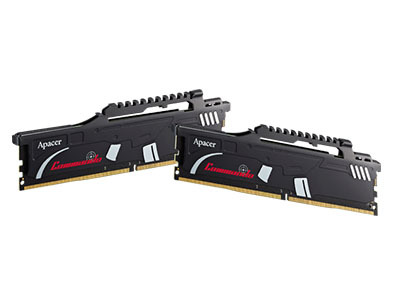 Apacer SO-DIMM DDR4 8GB 2133Mhz SODIMM Memory, Retail Box , Limited Lifetime warranty. Apacer AC633 2TB USB 3.1 External Hard Drive - Blue, Retail Box, Limited 3 Year Warranty. 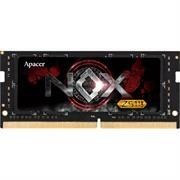 Apacer SO-DIMM DDR4 8GB 2400Mhz Memory Module, Retail Box , Limited Lifetime warranty. Acknowledging the ultra-thin and stylish trend, AST280 M.2 SATA III SSD is 22mm wide and 80mm long with a maximum read/write speed of 520/495MB/s. 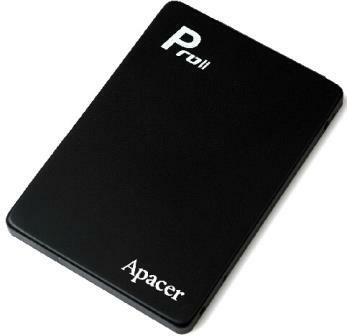 It can effectively reduce system response time and accelerate the processing performance of multimedia programs. 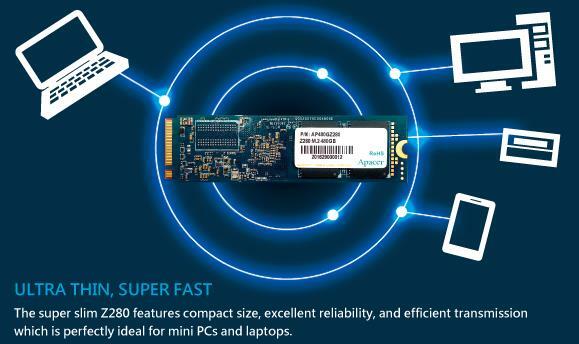 The high storage capacities and small sizes, plus the lightweight case-less design features provide outstanding reliability and transmission performance for the new generation ultra-thin mobile devices. 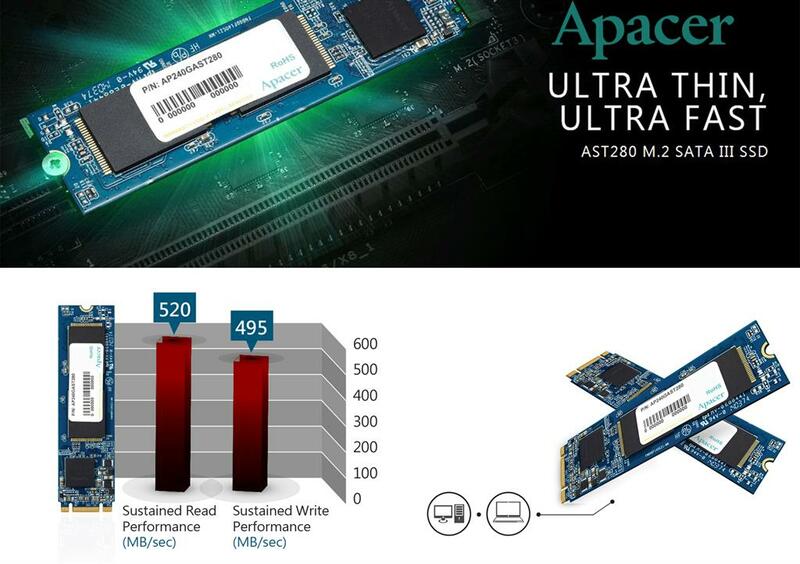 AST280 is the best choice for increasing platform performance and expanding capacities of gaming mainboards, ultra-thin notebook and small embedded systems. 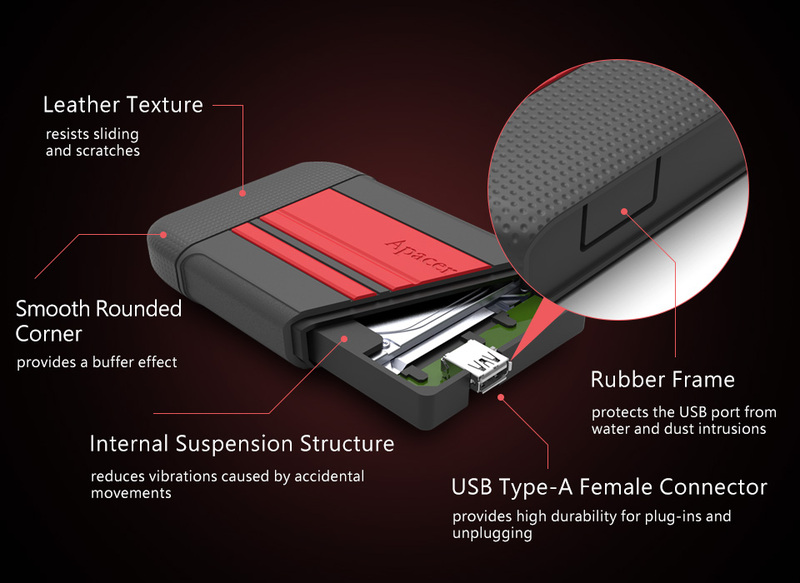 A single-piece rubber frame built from the internal structure to the exterior forms a cushion that can withstand direct impact forces, effectively reducing influences when accessing data during movement. 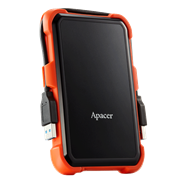 Compliant with MIL-STD-810G 516.6 Procedure IV (transit drop test), AC630 is resistant to falls of 1.22-meter height without losing data. Accidental drops in the normal environment will not cause damage to data, per U.S. MIL-STD-810G 516.6 procedure IV (transit drop test). Gentle handling is strongly recommended to ensure normal use. AC630 ensures all-round protections against dust and spraying water, allowing users to enjoy their journey without worries. This product meets IP55 dustproof and waterproof requirements and offers complete protection in the normal environment. When not in use, please keep the USB cover tightly sealed. Gentle handling is recommended. The thoughtful slot design keeps the cable neatly stowed when it is not in use. 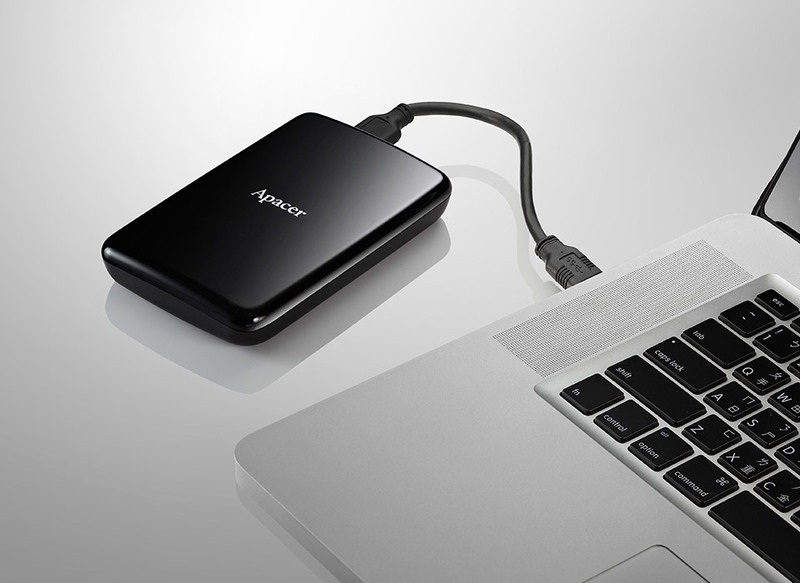 The USB 3.1 Gen 1 interface makes data backup a rapid process, easily handling one million images, half a million MP3 tunes, or 833 hours of Full HD videos. Apacer AC233 2TB USB3.0 External Hard Drive - Black, Retail Box, Limited 3 Year Warranty. 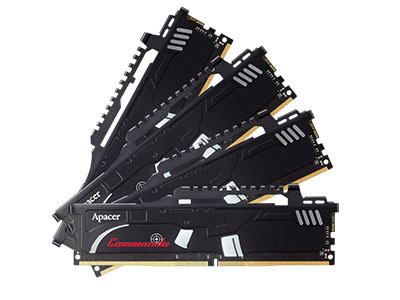 Apacer unveils its latest gaming DDR4 memory module, PANTHER, specially produced for support of next generation Intel’ Skylake platform. 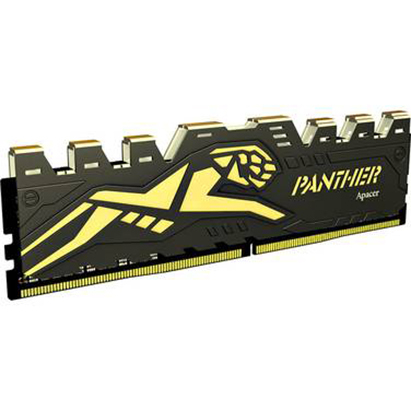 The design of the PANTHER gaming DDR4 with aesthetic design on heat spreader and meticulously screened ICs indeed stands out from the rest of DDR4 memory offerings. 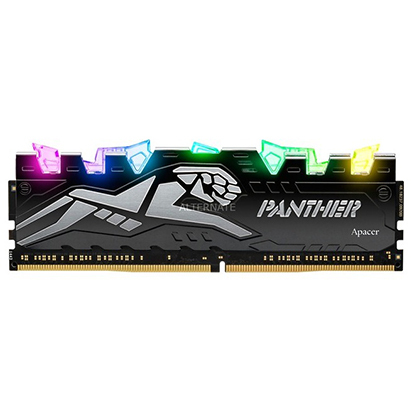 Backed by the world’s best technology in industrial memory module and storage, PANTHER DDR4 gives users much more than they expect in terms of functionality and stability, providing a budget-friendly gaming memory module. 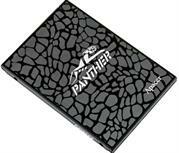 Apacer’s Black Panther Overclocking Memory Module selects the best-performing chips with strict criteria and is equipped with Apacer’s exclusively designed 3D heatspreader, on which the fin-like protrusions can effectively transmit heat generated by the memory chip to each protrusion. The protrusions form a 3D space for heat dissipation, so as to achieve the most optimal heat dissipation effect within a limited size and to effectively protect core elements. 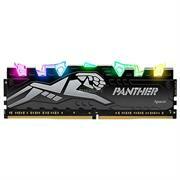 The Black Panther series Overclocking Memory Module features the industry’s lowest maintenance rate, excellent stability and performance, and ultra-cost effectiveness, laying down an insurmountable quality benchmark for overclocking memory. 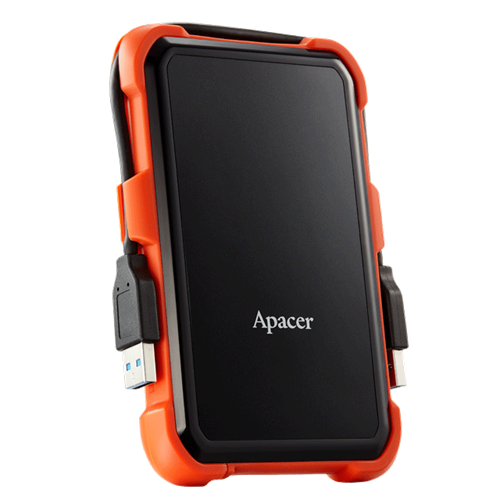 Apacer introduces the AC730 portable hard drive which features extreme durability - compliant with Mil-Spec drop test and IP68 test. The Apacer AC730’s military-grade durability includes resistance to high pressure, vibration, shock, dust and extreme weather conditions. 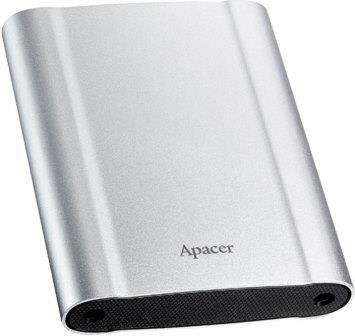 The AC730 can withstand pressure of up to 1,500 KGs of force making it a seemingly indestructible portable storage drive you can store your precious data for safekeeping. The Apacer AC730 is encased in a finely casted aluminium alloy exterior that can sustain 1500KG of pressure. The matte finish of the surface is designed to improve grip and handling. 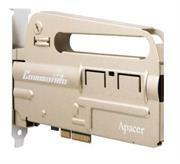 The Apacer AC730 can easily withstand typical drop testing or even crushing forces. 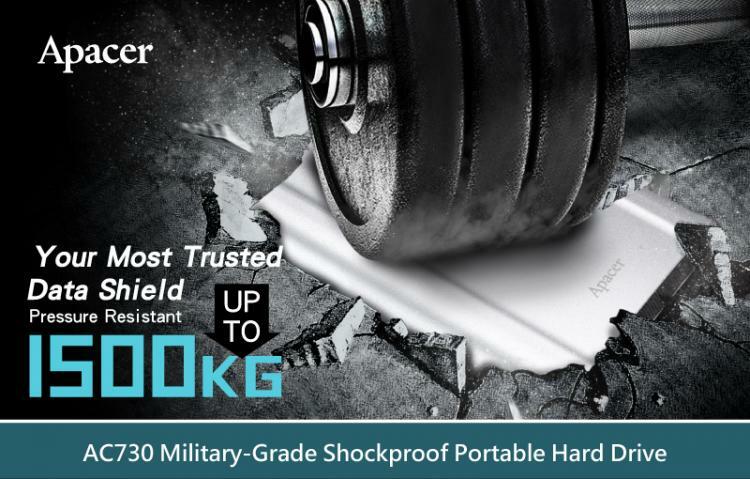 The Apacer AC730 is compliant with MIL-STD-810G method 516.6 Procedure IV (Transit Drop Test), meaning its anti-impact ability is sufficient for accidental drops, jars and knocks, for up to 1.2 meter in height. 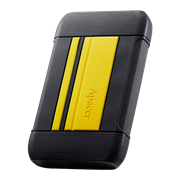 Compliant with IP68 standard, the Apacer AC730 is hermetically designed with dustproof and waterproof features that promise the best of protection against the environment. 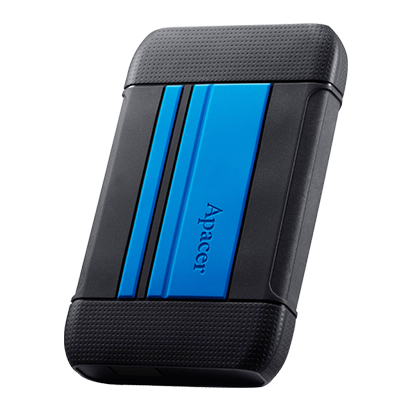 The Apacer AC730 can also withstand being submerged in 1-meter depth of fresh for up to 60 minutes. 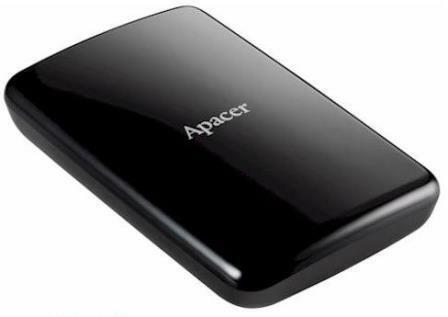 Available in 1TB and 2TB, AC730 offers rapid access with USB 3.1 Gen 1 interface, which can transfer data at maximum speed of 5Gb/s.